I’ve been saying this for a while, but I really want everyone in the Marvel universe to get into paganism. Why? Well for one, witches love reading, and I don’t know how many (if any) Marvel characters are literate. Like Iron Man. I know he’s rich. I’ve seen his house. Yet, I’ve never seen him read To Kill a Mockingbird. Everyone has read To Kill a Mockingbird, Iron Man! How can you be that rich and not have read To Kill a Mockingbird? However, now’s not the time to pick apart the logical fallacies of the Marvel universe. Let’s just agree that every superhero should be a witch. Witches are awesome! They live in Brooklyn! On Saturday, June 29th I had the pleasure of seeing some witches in action. These witches were a special breed of witches: witches who do comedy. 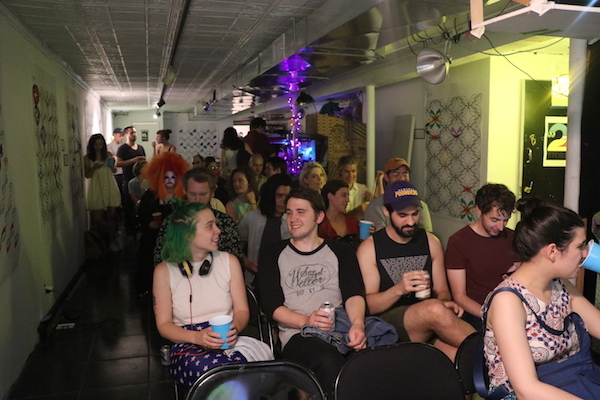 All of these witches congregated in the Babycastles coven for the first ever MEDIAWITCH FUN FEST. 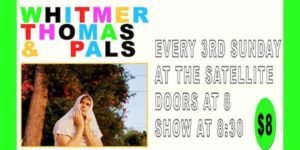 Hosted by the media witch herself MARISSA GOLDMAN, the show was a comedy/video art potion so strong I briefly thought Elon Musk and Grimes looked cute together. 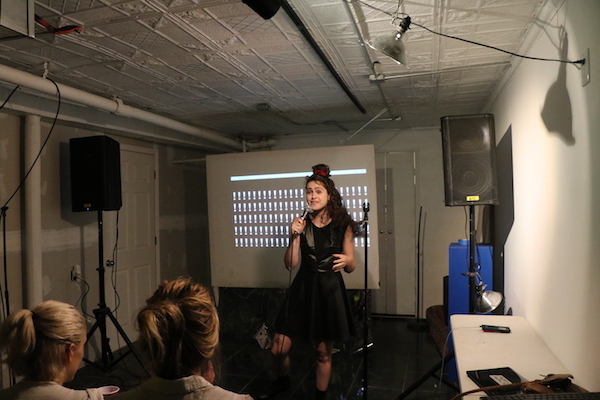 Maya Sharma was the first witch to perform. A lot of pagans happen to be vegetarian, but not Maya. Maya eats chicken. In fact, all she eats is chicken. Maya was doing a live voiceover to a MasterChef Junior challenge. In the video, the kids were asked to cook the world’s most popular meat. Whenever the judges would say “The most popular meat”, Maya would say “chicken”. It was stupid. It was silly. It was perfect. The video ended to reveal that the meat was pork chops and NOT chicken. As a result, Maya started to repeat “I’m allowed to be wrong”, and got the audience to follow her in the first chant of the evening. The room started to bubble; a normal occurrence at witch comedy events. Admist the normal bubbles was Adele Computer. Adele could easily be the counterpart or the mortal enemy of Sharon Needles. Adele is magical. 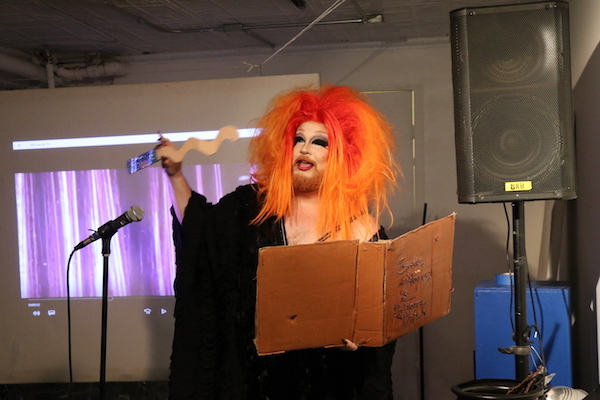 Not only was her gay witch anthem “Talk Witchy” hilarious, she performed it wearing a floor length black dress in a sweaty floor length basement. At one point, I thought I was hallucinating it was so hot. I thought I was an egg yolk inside a love potion, which is an odd feeling. Especially since egg yolks don’t care about love, they’re only interested in cooling techniques. I also kept seeing this animated avatar that looked exactly like Marissa trapped inside a computer. This avatar would only appear every time Marissa left to find the bathroom. And then, oh AND THEN. Wait til you hear this, the audience started CHEERING at the end. Was I hallucinating? I don’t know. Was it funny? Yes. Was I concerned that host of the fest didn’t know where the bathroom was? No, it’s a normal thing witches do a lot. You didn’t need to have fancy witchcraft to make the audience laugh. 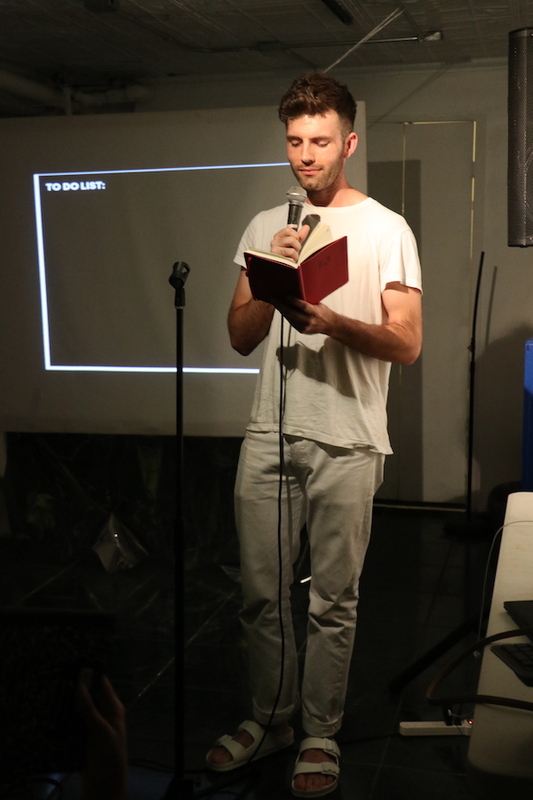 Eric Schwartau (Talk Hole) did a traditional stand up potion with the simplest witchcraft PowerPoint can provide. Eric was definitely one of the lower energy witches, which I think really worked when describing his “where should I move to, To-Do list”. He really harped on the fact that this was a to-do list, which felt old towards the end. Especially since we know he’s eventually going to move out LA. For a group of people who pride themselves on hexing, they managed to keep the night fun and pentagram-less. Brian Fiddyment took us on a photo slideshow journey of his Twitter love life; Moss Perricone and Rachel Sennott’s video “Internships” is about paid internships… sorry I lied. It’s not. Those don’t exist. Steven Markow made a video “College Friends Hang Out” which really sets the bar for what 14-year olds will find funny. The night was full of many spooky kookies. Tynan Delong, David Agyekum, HorseContent, Random Butler, Albert Engracious, Lucy Cottrell, and Art 404 all contributed and showed us the funniest of the mysterious. It was so funny I’d forgotten I was sitting in a sweaty basement; until I stood up and on the chair sat the entirety my body’s water weight. I told one of the witches about it and they said it was hot. 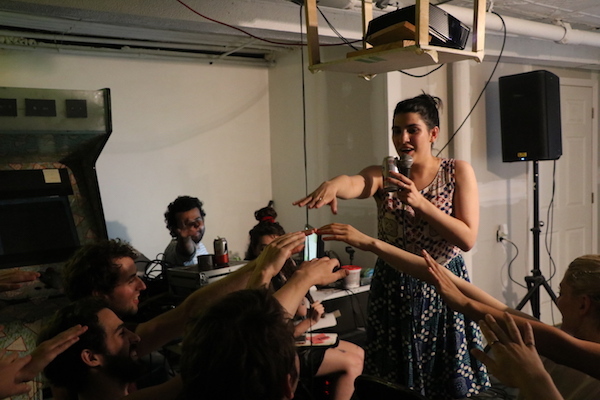 Thanks to Babycastles for providing the sweaty basement, and to Marissa for organizing, creating, and doing every “-ing” in the book for The Mediawitch Fun Fest. Mentions: Follow Marissa (@themediawitch_) for more information on future Fun Fests! Images by Ena Da.